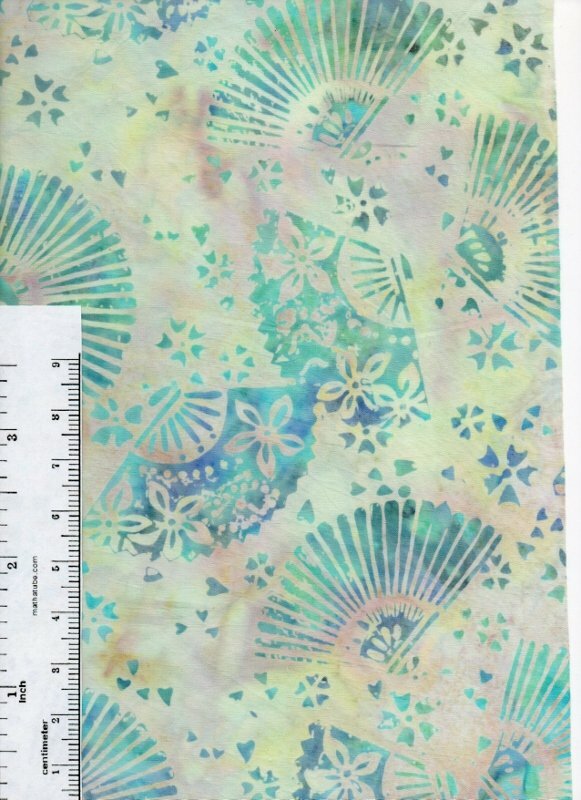 We love this gorgeous fan print batik from Anthology! It's a wonderful accent or focus fabric that blends beautifully with aqua, turquoise, periwinkle and cobalt blue. 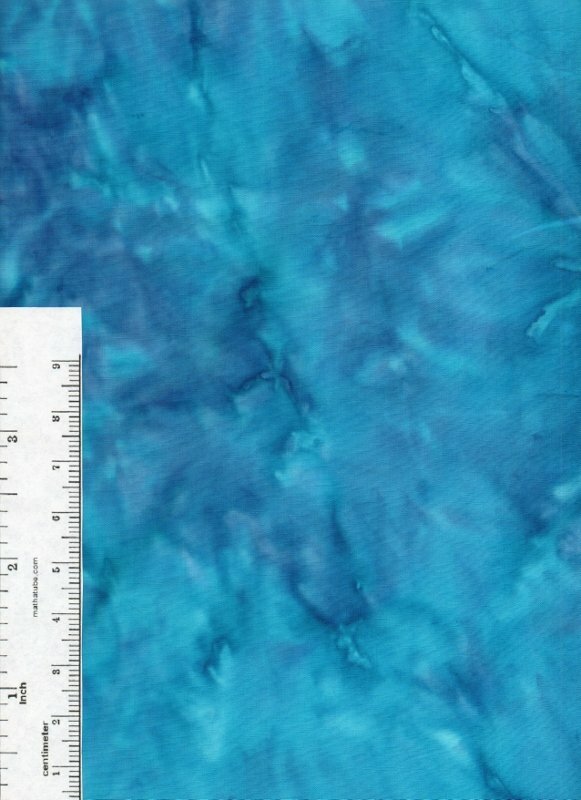 We were truly at a loss as to what color this batik is. In some light it looks downright brown. Until you put it next to a true brown and then it suddenly turns green! 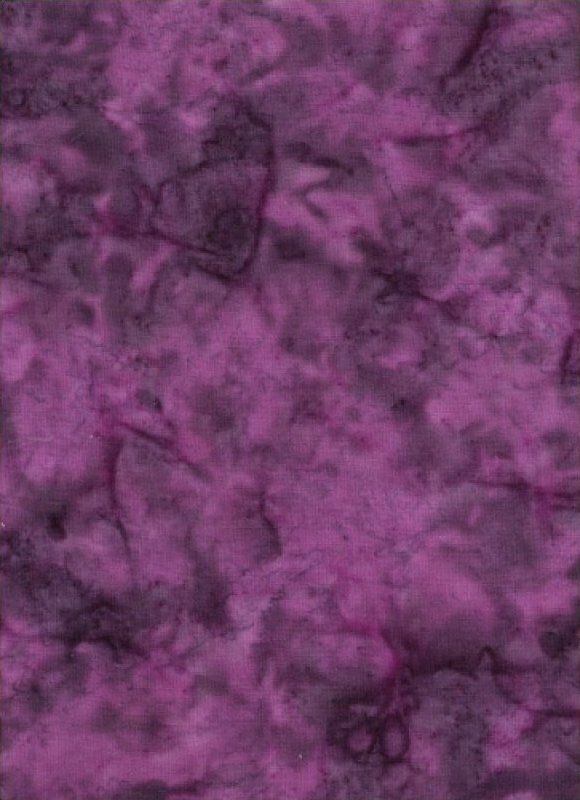 Beautiful boysenberry marbled tonal batik with shots of deep purple. 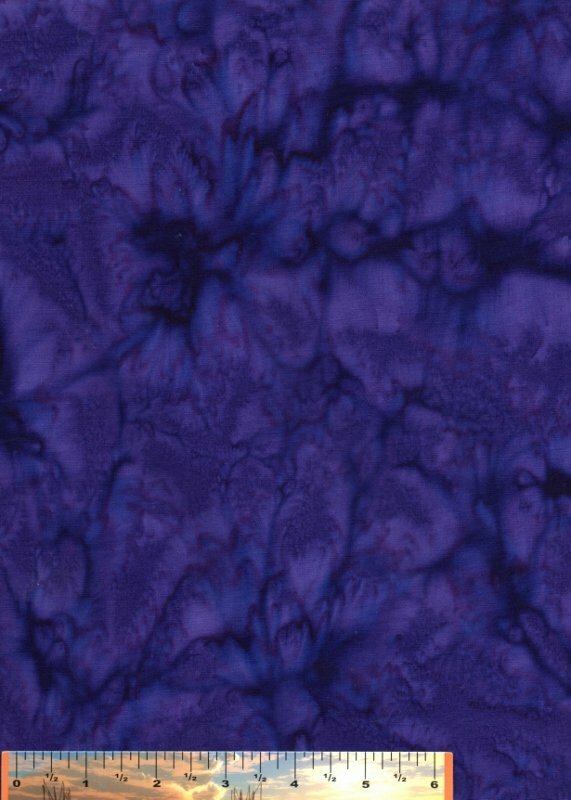 This rich tonal hand dye from Anthology is a deep blue-violet color. Not our darkest purple ever, but definitely dark. 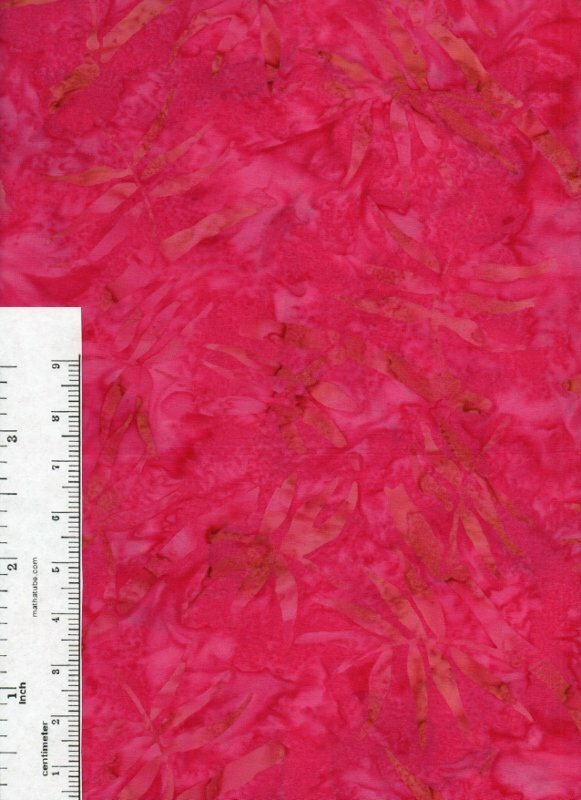 We love this gorgeous hot pink/fuscia hand dye with a faint woodblock print of dragonflies and ferns in a brown-paper-bag coloration. If you collect pinks and batiks you'll want to add this to your stash! 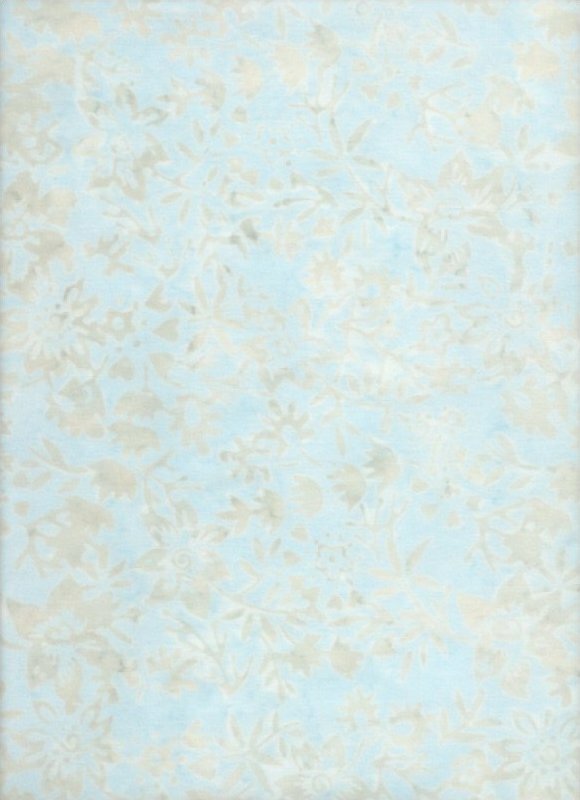 Beautiful pale icy blue batik with just a ghost of taupe vines scattered across the field. Wonderful background with great texture. 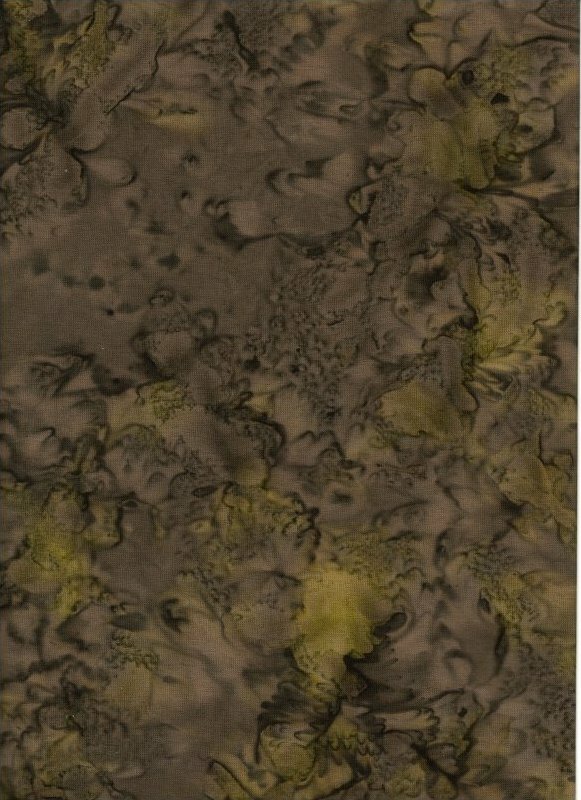 Wonderful Kelly green tonal batik with occasional splashes of dark yellow-green. 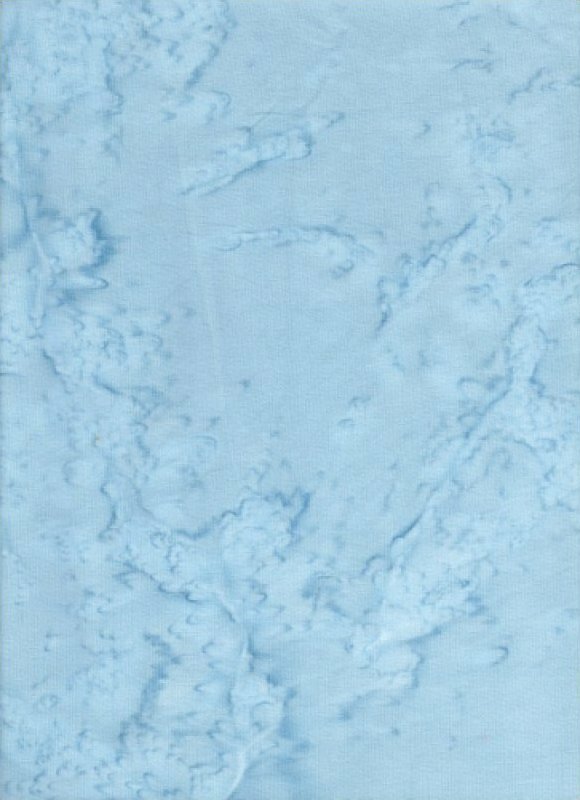 Beautiful light periwinkle batik (according to my crayon box!) that looks like water running down the window on a stormy day. 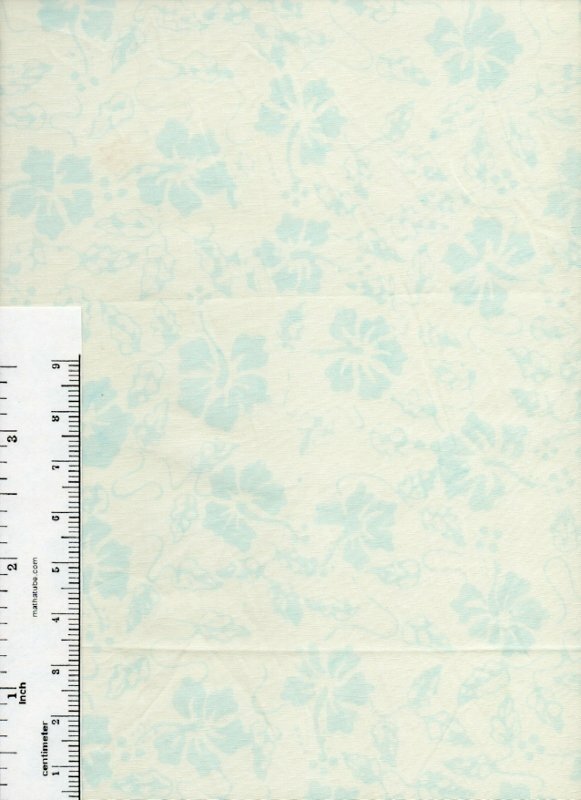 Sweet tonal batik in a very pale periwinkle. Wonderful background batik! We're completely enchanted with this beautiful batik from Anthology! 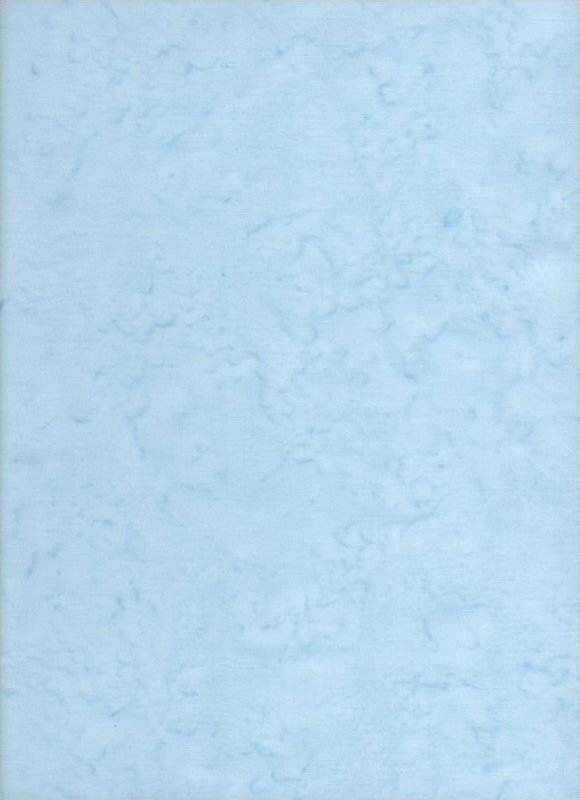 This is a very very pale cornflower blue woodblock print of hibiscus and trailing vines that reads white from a distance. 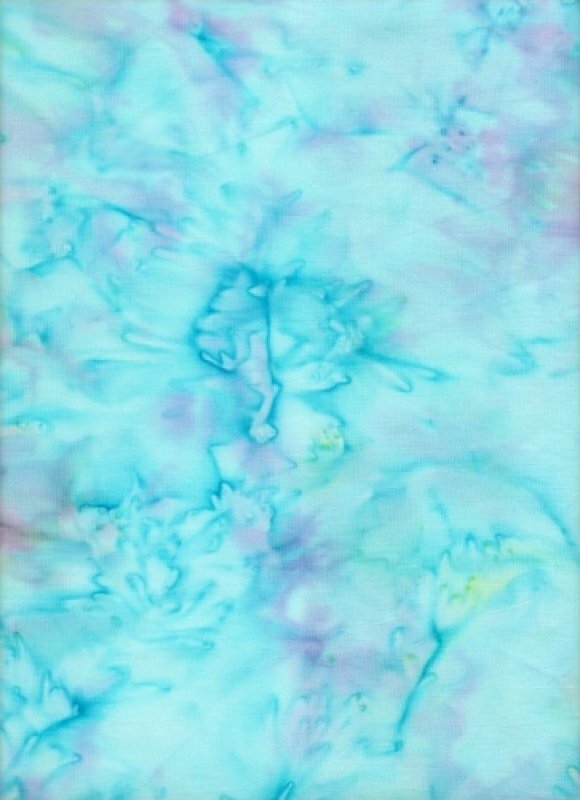 Sweet Robin's egg blue batik with splashes of lavender. This is the deep purple of a popular whiskey that comes in a purple velvet bag. 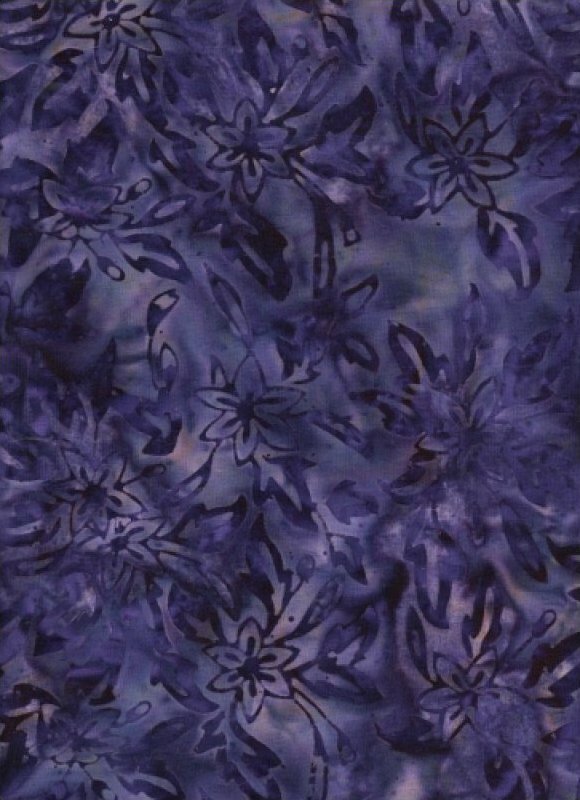 The hand dyed batik has a darker purple floral design with occasional shots of lilac. 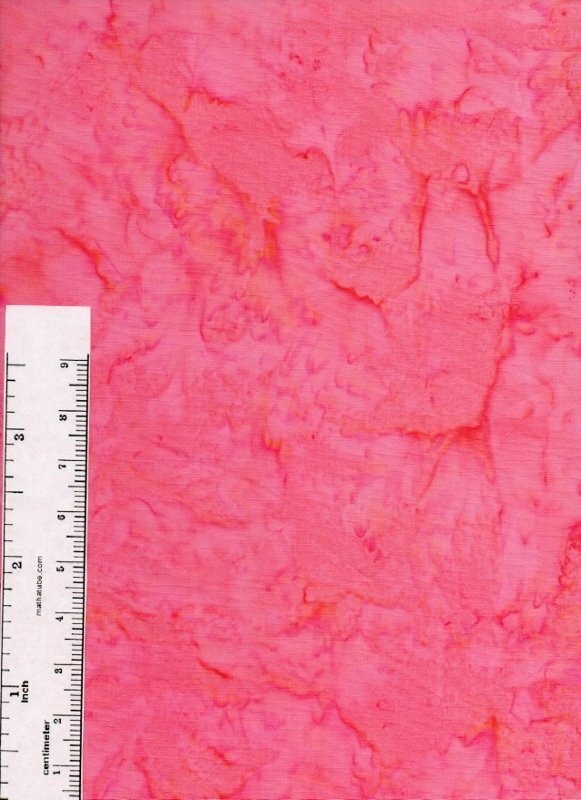 You'll love this gorgeous salmon hand dye batik with hints of coral and hot pink. 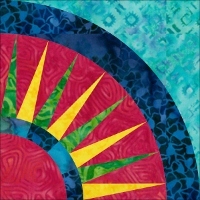 This is a beautiful batik with lots of depth and texture from Anthology. Anthology has the most beautiful batiks and this one's no exception - with an empahsis on turquoise this hand-dye also has touches of pale aqua, cobalt blue and a few hints of purple.